Beanford Lane: Go down Mansfield Lane and carry on straight over Oxton Road onto Whinbush Lane then take the first right turning. 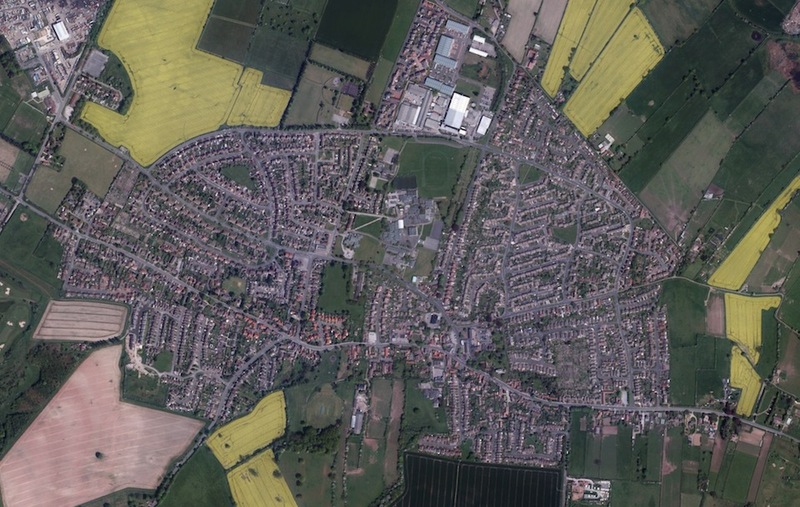 Moor Lane: (includes the Fish Farm, Lido Villa, Severn Trent Water, Spring Barn, Springhill Farm, Springwater Golf Course, Springwater Restaurant), & Moor Farm Caravan Park (includes Lakeland Road, Lake Side View Road, Lake View Road, Lilac Road, Pond View Road, Rainbow Road, Spring Lodge, Sunset Avenue & Willow Park); Carry on down Bonner Lane as though leaving the village. Old Rufford Road: Take the directions for Whinbush Lane then take the first left. Whinbush Lane: Go down Mansfield Lane and carry on straight over Oxton Road. 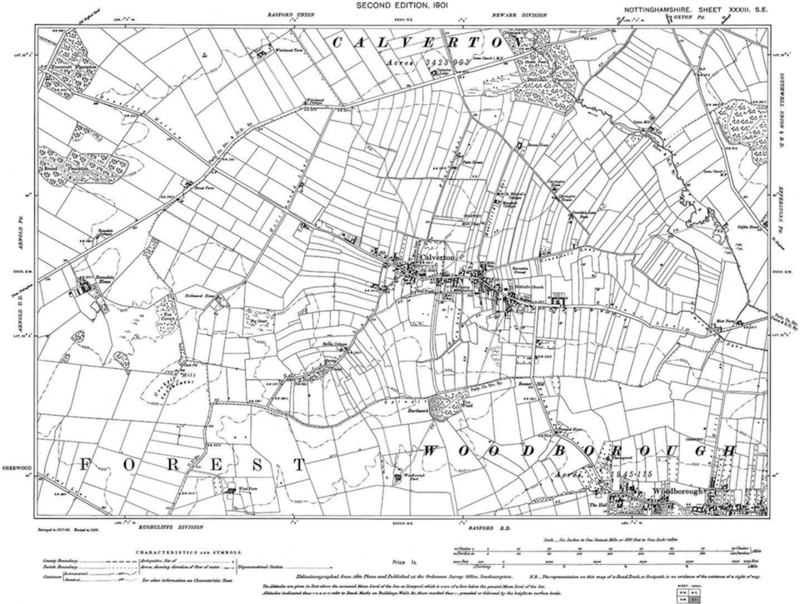 Now compare the village in 1901.